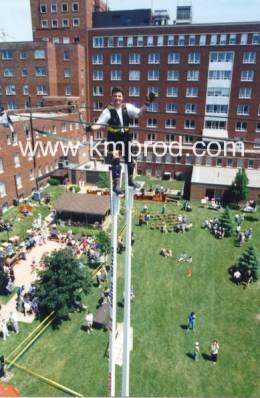 Doug Hunt is a southern Ontario based, multi-talented stilt walker, juggler, magician, mime, balloon artist, and all round versatile entertainment specialist. 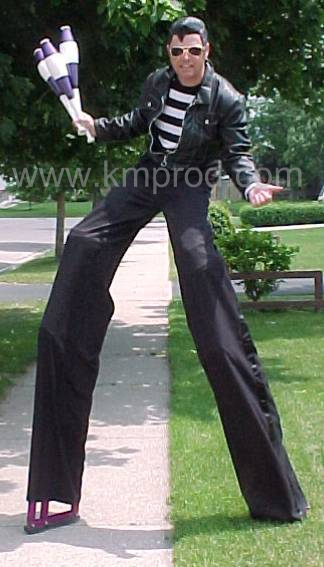 His stilt-walking abilities feature a multitude of costumed stilt characters. 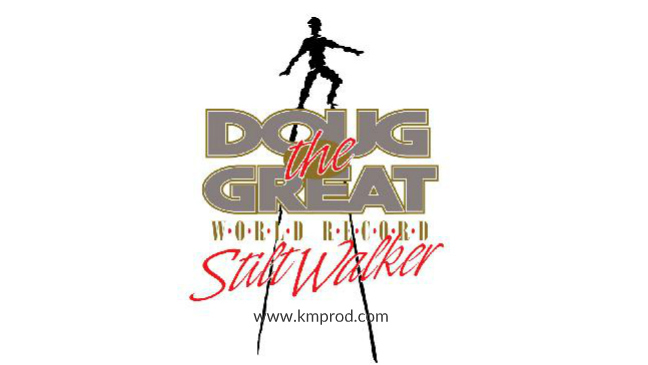 Quite simply Doug is like the Swiss Army Knife of Stilt Walkers! 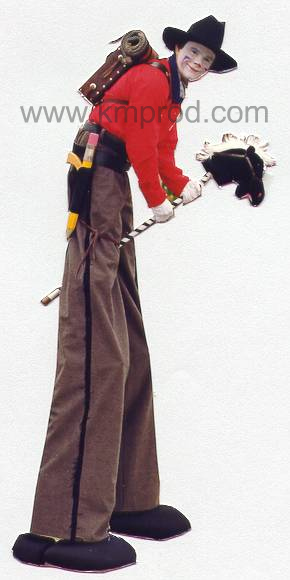 He has over 17 different stilt characters. 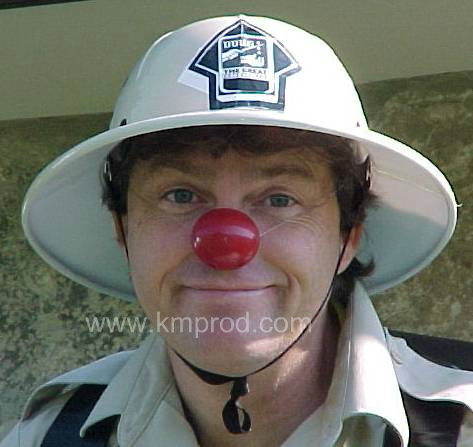 He combines magic, juggling, comedy, and stilt-walking to become "Doug The Great - Entertainer." 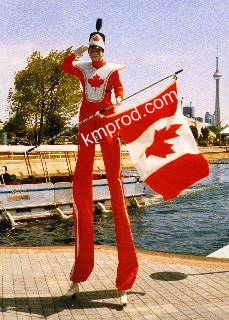 Stilt Walkers stand out in a crowd enhancing any parade, festival, fair, grand opening, product launch, corporate or family event. 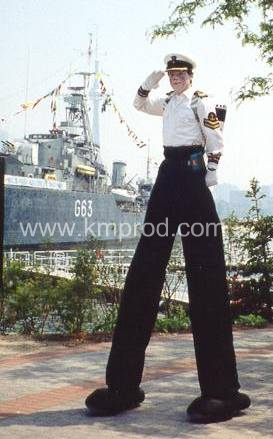 On September 23, 1998 Doug Hunt set a new Guinness record for the World's Tallest Stilt Walker by taking 54 independent steps on stilts measuring 50' 5" tall, (15.36 meters) and weighing 126 pounds (57.15 kilograms) combined. 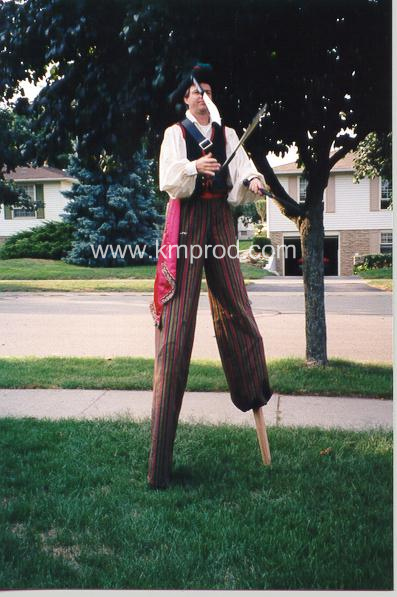 Doug has a multitude of stilt characters. One is sure to suit your theme or he will create one especially for your event! 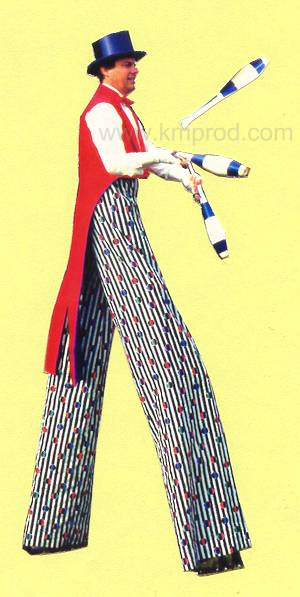 Stilt-walking Clown with a musical back-pack and a great variety of up-beat tunes for magic, juggling, dancing and lots of fun! Elvis from the 'Jailhouse Rock' era. Very popular and fun - a sure hit with all generations. Sea Captain featuring music with a nautical theme. Cowboy Doug featuring trick roping, 'quick on the draw' pencil-gun, & cowboy-themed music. 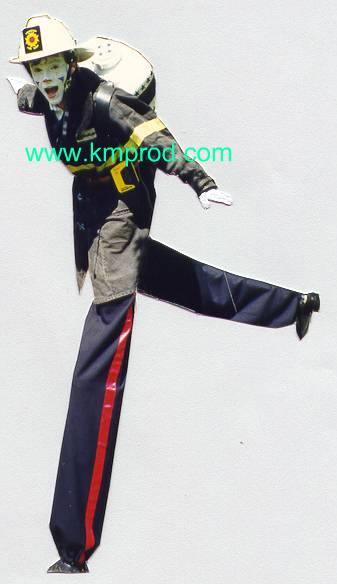 Toy Soldier with marching music and revolving key in the back. Carnival Barker clad clown with tuxedo jacket and blue satin top- hat. Mardi Gras just like New Orleans, ju-ju stick, bird-like mask, very colourful. Fire-Fighter Doug dressed for action with a revolving emergency light, & emergency response sound effects. 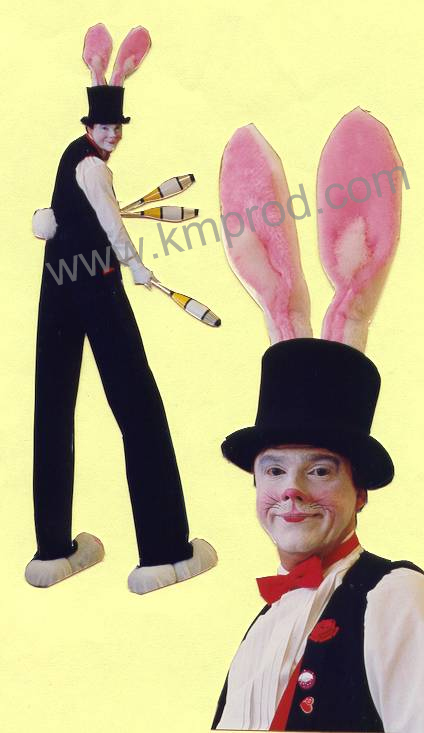 Doug's Bunny a formally-attired rabbit character (Pooka), wears a top hat with remote controlled ears & trick powder puff tail. D-MAN a frightening character with voice altering effects and eerie music. Great for Halloween theme events. Safari Doug with a pit helmet and tan safari gear, Doug is ready for adventure! Pirate a swashbuckler with a peg-leg (stilt) and pirate music. 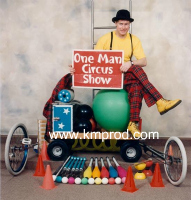 Doug The Great is also magician, juggler and comedian - all rolled into one. Doug travels light and can perform anytime, anywhere. 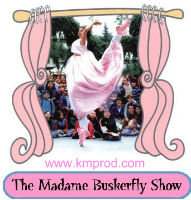 Actually it's a stage-type show featuring magic, juggling, rope tricks, hat manipulation, and lots of comedy. Entertainment the whole family can enjoy. 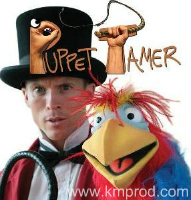 Doug Hunt is represented by K&M Productions. 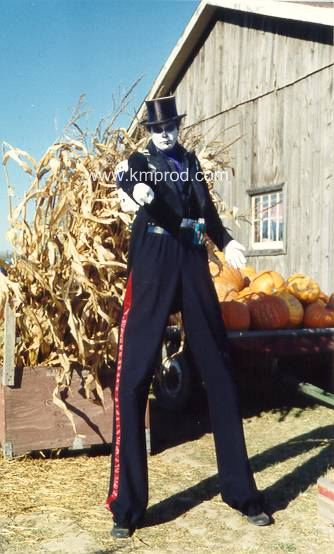 For more information, fees & booking stilt-walker Doug Hunt, contact us.